This is the third time I've read The Great Gatsby. The first time was in my junior year of high school in my English class, like many other people. I bought my own copy and read it again during college. Now, in my mid-twenties, I’m reading it as a part of my effort to read one of Fitzgerald’s novels or short story collections each month. 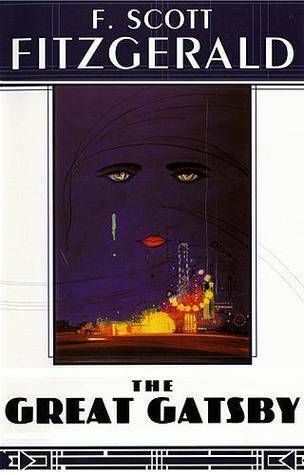 Gatsby is a pivotal novel for so many readers, the book that convinces people that books that are considered ‘classics’ or ‘literature’ can be accessible for everyone. I’m struck by feeling as if I could write about this book for hours and wondering if I can add anything to the conversation that hasn't already been said in the past 87 years. As I read the novel this time around, I was struck by how sparse this story is and how much it says in less than 200 pages. The story at its core is a simple one: a man works for years to get the girl he loves, but his quest ends in tragedy. But Fitzgerald weaves a relatively simple story, one that has been in our collective psyche forever, and makes it so much more. He explores the American Dream, what it means to be wealthy, the distinction between being loved and being idealized, and the extent to which we can ever really know another person. All of this is done to the tune of some of the most beautiful language in the American literary cannon. What struck me most this time around was how beautifully Fitzgerald writes about making our dreams bigger than they can possibly be. Gatsby is a man with a clear goal: marrying Daisy. In order to do this, he works (through honest means and suspicious ones) to become wealthy enough to take care of the woman he loves in the manner in which she expects. From first glance, this seems like an admirable goal. But the lesson in this novel, I think, is to not have just one dream. Gatsby has nothing else in his life – no family, no friends, no goals with the exception of a happy ever after with Daisy. Over the years, he has made her into a woman so amazing that no mere mortal can live up to the woman he has been dreaming about for so long. There is a sense, throughout this book, of distance between the characters. Some of it is physical – Daisy and Gatsby have been apart for a long time. Some of it is mental and emotional. In spite of the fact that Daisy and Tom are married, there are definite walls between them and each has given their heart to another. I think Fitzgerald intentionally emphasizes this distance by narrating the story through the eyes of Nick Carraway. He is new to the area and does not even know who Gatsby is until they are awkwardly introduced at one of Gatsby’s lavish parties. As Nick begins spending time with these people, he tries to get to know them. But he finds it harder than he expected. Gatsby in particular is seemingly unknowable, as rumors about him seemingly contradict each other and the man in question does not jump to clear up the mystery. The Great Gatsby is a book that you can return to time and again, one of those stories that will mean something different to you at different points in your life. If you haven’t read it yet, now is always the right time. F. Scott Fitzgerald had a great gift for mixing deep character insight with themes that still resound with the modern reader and prose that might as well be poetry. There are many very good reasons that The Great Gatsby is an enduring classic. Being British, we studied mainly English Lit at school so I only read this book for the first time recently. I liked it, especially the beautiful writing, but think I would need to reread at some point to get the most out of it. I like your point about the distance between characters, it's something I noticed too, no one is happy. Retired English teacher retreading this beautiful novel. Thank you, Lindsey, for the insights. And what a strong writer you are! Thank you very much. Gatsby is such a wonderful choice for re-reading.